GPS Sensational Sevens! 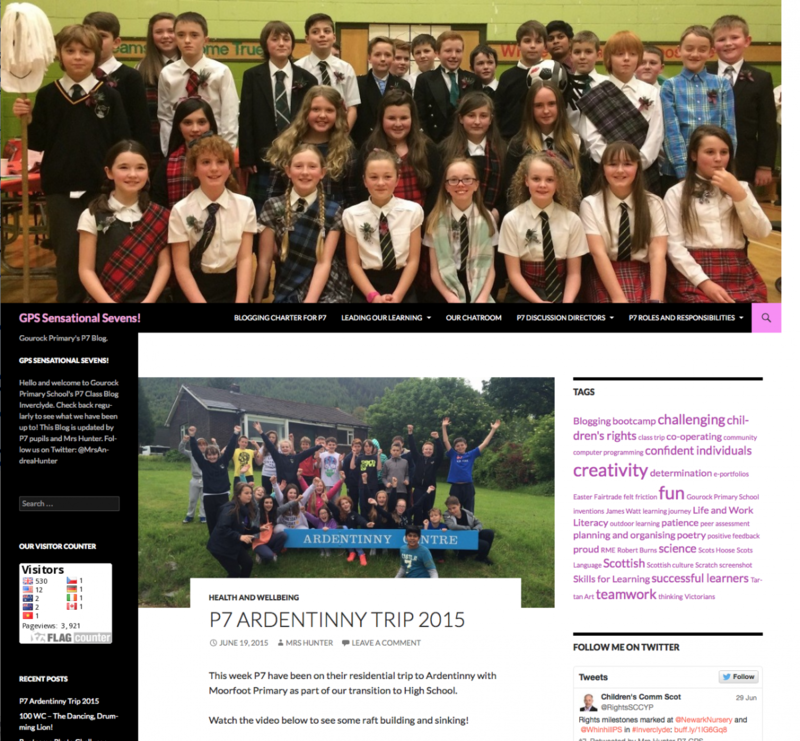 | Gourock Primary’s P7 Blog. There are lots of help articles, videos ect. on the Blogging Bootcamp blog. If you have a class blog you may want to join in the #ShareOurLearning project. Make sure that you pupils can publish independently, or with the help of older pupils. This makes it much easier to keep your blog up to date. Start a rota. Collaborate with other schools from around the world join in at QuadBlogging and the 100 Word Challenge.